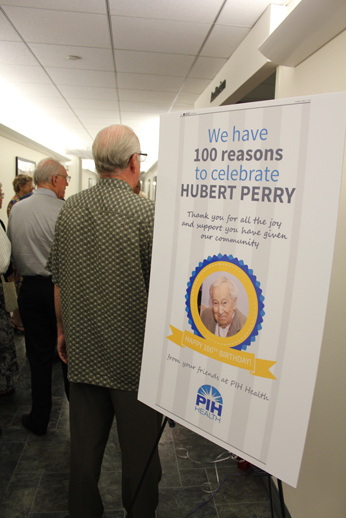 People wait to sign the guest book for Hubert Perry's 100th birthday bash Saturday, June 15, at the Hubert C. Perry Pavilion inside PIH Health, formerly Presbyterian Intercommunity Hospital. 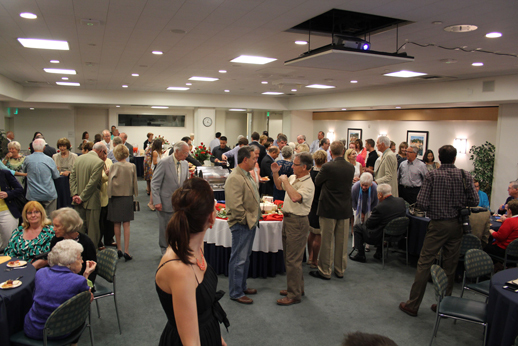 More than 150 people came to celebrate the centenarian, who helped create the hospital back in the 1950s. 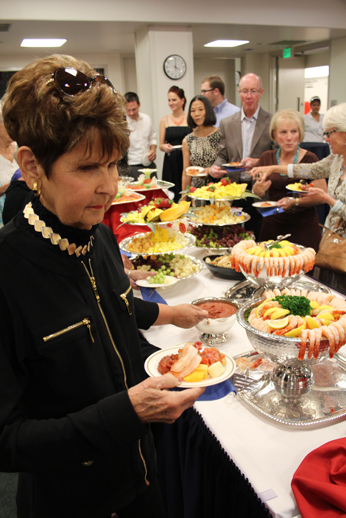 Sally Martin enjoys the lavish food table at Hubert Perry's 100th birthday party Saturday, June 15, 2013 at PIH Health's Hubert Perry Pavilion. More than 150 people attended the 100th birthday party for Hubert Perry on Saturday, June 15, 2013, inside the Hubert Perry Pavilion at PIH Health, formerly Presbyterian Intercommunity Hospital, in Whittier. 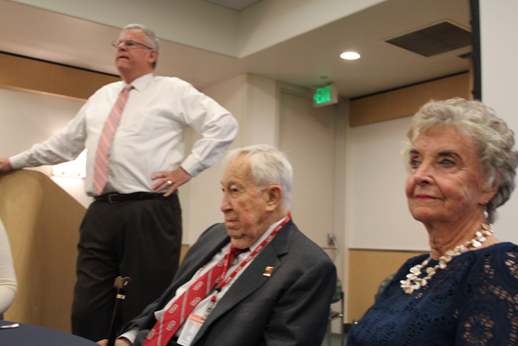 Emcee Jerry Perisho, centenarian Hubert Perry and community philanthropist Ruth B. Shannon enjoy the proceedings at Perry's 100th birthday party Saturday, June 15, 2013, inside the Perry Pavilion at PIH Health in Whittiier. 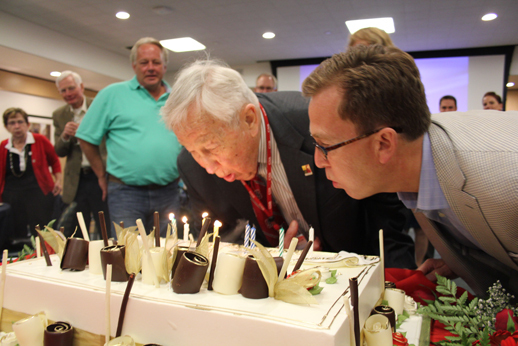 Hubert Perry gets a little assist from son Mark in blowing out the candles on Hubert's 100th birthday cake on Saturday, June 15, 2013, at PIH Health, formerly Presbyterian Intercommunity Hospital. The centenarian was instrumental in founding the area's largest hospital back in the 1950s.